At my meeting with educators in Dearborn, we were all wondering what to do next. How can we convince those who have the power to shape education that we had best include the hands in learning. The interesting conclusion I have come to is that reason is not enough to make change. Human beings are not all that reasonable. The transformation of learning into education paralyses man's poetic ability... Poets and clowns have always risen up against the oppression of creative thought by dogma. They expose literal-mindedness with metaphor. They demonstrate the follies of seriousness in a framework of humor. Their intimate wonder dissolves certainties, banishes fears, and undoes paralysis. The prophet can denounce creeds and expose superstitions and mobilize persons to use their lights and wits. Poetry, intuition, and theory can offer intimations of the advance of dogma against wit that may lead to a revolution in awareness. 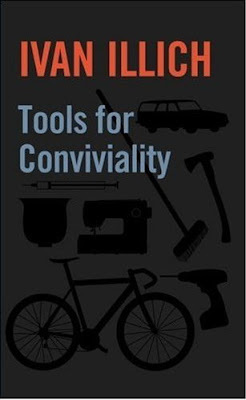 I have been contnuing my reading of Tools for Conviviality.Its author, Ivan Illich was an admitted socialist. Sadly, that would put anything he might suggest in question for some regardless of its merits. I would prefer to be a bit more open minded than that. One day, a few years back, my wife and daughter and I were making college visitations and met a young man in the UT Scholars program who when told about educational sloyd, said, "Oh that's Marixist, isn't it?" Something about the "dignity of all labor" can send spasms through the intelligentsia. After all, what we all working so hard to avoid? Language is a convoluted thing, charged with emotions and colored by suspicions and doubts created by past efforts to dominate and control. But putting aside Illich's socialism, if you can stretch your heart and mind so far, I want to consider the idea of conviviality. Is the purpose of life and education, that of better competing in the 21st century and maintaining dominance of one culture over another, or is the purpose of life, culture and education that of enabling us to get along with others, creating a more stable, and resilient human life? I am in Manhattan, having come to New York to welcome my daughter home from Ghana, and to help her get moved into her dorm for her senior year at Columbia. She brought me a souvenir, perfectly representing the choice we face in attempting to achieve conviviality, a machete. In Ghana, machetes are an all purpose tool used to cut the grass and to keep the bush at bay, but in some parts of Africa, machetes have been used in murder. 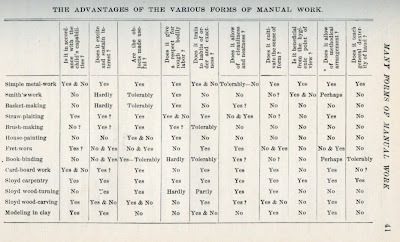 Each tool, as described by Illich offers an edge that can be turned to cut either way. Interestingly, the tool that Lucy took to Ghana that carried a sense of western conviviality was her genuine Leatherman tool. Not only did it provide a means to screw and unscrew and cut things, not having a real paring knife in their make-do communal cook-on-the-floor kitchen in their Ghanaian village of Obodan, the Leatherman sufficed wondrously. In our small rented apartment near the Flatiron building, and untrained in the full functionality of the machete, the built in phillips screwdriver of Lucy's Leatherman enabled me to fix the coffee pot. If there was ever an election for the most convivial tool of all time, the Leatherman would be a contender as to my knowledge there has never been one involved in the conviction of murder. Illich idea of conviviality is an interesting index to use in the observation of human progress or decline and it is a great tool for people watching in the city. Manhattan is not exactly the place in which I feel most at home. Due to my being in New York, my posting may be sporadic. In the meantime, New York is a great place to consider conviviality and how it applies to the wisdom of the hands. Our nation's cities are on the rise again after so many decades of flight to the suburbs. The cell phone and iPhone are important tools in facilitating this reversal of urban fortunes. These communications tools are making cities more convivial in tone as people stay connected with each other and use them to facilitate social engagements. At the same time, they, like any other tool, can give a sense of isolation and anomie. People use the same tool to connect with peers and loved ones, and simultaneously isolate themselves from unwanted social encounters. As an example, as my wife and I looked for a laundromat, we could have used her iPhone to find one, but she chose instead to ask, providing the opportunity for a friendly response. Those simple social interactions have long been the foundation of society as the means though which kindness is expressed to strangers. 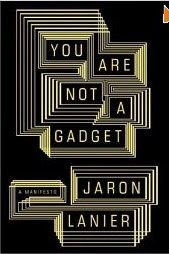 You may note that tools have the potential of being used with care and attention or mindlessly toward the destruction of meaningful relationship. How do we now take these exclusive items, much coveted by all, and make them tools for inclusion and conviviality? If we can work that out, being watchful of our excessive use of technology, and leaving space between calls for unexpected things to arise, our cities will become even more wonderful places to live and work. That's conviviality. I have written on this subject before, and this post is inspired by listening to a program on NPR, in which they were discussing the varying intersections between what they perceived as separate disciplines, the arts and science. These guys were serious, but missing the whole point. I have been reading Ivan Illich's book Tools for Conviviality and he recognizes one of the necessary shifts toward the restoration of Conviviality and restoration of celebratory spirit in human culture involves the Demythologization of Science. The idea is not to knock science from its lofty position but to make it more accessible to all men. If you've been reading here for a long time, you may remember my discussion of Admiral Beaufort If not, click on the preceding link. This causes me to reflect, not only on tools for conviviality, but also upon instruments of scientific conviviality. How do we design instruments that bring the common man into the fields and folds of scientific exploration? It seems the answer to that has always been in our hands. While on NPR, and in the eyes of most observers, the arts and science are two estranged disciplines, for the craftsman in his or her exploration of material properties and the capacities of tools and applied attention to change them, there is very little perceptible difference from what one might do in a laboratory, except that the artist or craftsman has a tangible product to put on the table as evidence of learning. It could be stated that science and the arts arose simultaneously from the creative life of man, and while we can build artificial intellectual constructs separating the two, diminishing the perceived value of one to enhance the other, both suffer from the separation. We all suffer from the perceived estrangement of science from the arts. The illustration above is the hand of God touching that of man. Which would you say represents the arts and which science? Which is god? 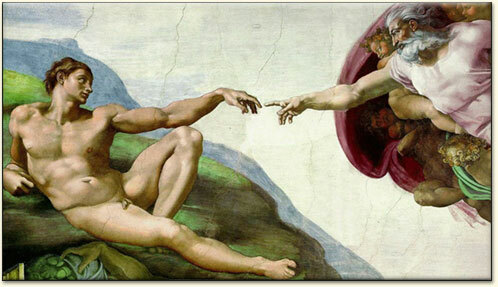 Do you sense in the painting that man is lazy and his finger is less than eager to touch his own creative power? Can that be the reticence of science to acknowledge its origins in the arts? The real power to bring change lies in the arts for it was from the arts that science arose in the first place and it is through individual craftsmanship that science arises as curiosity in each child. Is this such a hard thing for anyone to understand? In the meantime, a lawsuit maintaining that a South Korean video game software maker is responsible for a 51 year old American's debilitating video game addiction is being allowed to go forward in American courts. Craig Smallwood says "Lineage II" left him unable to function independently in daily activities, such as getting dressed, bathing or communicating with family and friends. Smallwood says he's spent more than 20,000 hours playing the multiplayer online role-playing game since 2004. He says NCSoft Corp. never warned him about the danger of game addiction. Do you think he will be able to get dressed and show up for court? It is a sad case. Maybe his mother will help. According to the ten thousand hour rule, (mentioned by both Malcolm Gladwell and Richard Sennett) it can take 10,000 hours to master a craft, and this poor man could have chosen to do something much more meaningful with his life (and with his hands). On a more important subject, a friend, Elliot Washor has published an article on Huffington Post, High School Education: Multiple Pathways and Student Choice The article addresses the two tier pathway which isolates those going to college from those involved in career and technical education. Elliot states, "The caste system is defunct. Let's get over it." Check out the article. It is a good read. 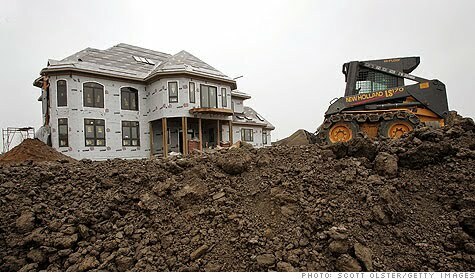 Home sizes are declining in the current housing market and CNN Money proclaims the end of the MacMansion. It always struck me as disappointing that we would have so many people building outrageously large homes while so many in the world suffer from homelessness. You can find some of my earlier comments here. It's not something a person would want to brag about, but it seems I was quietly predicting the decline of the housing market during early 2007. Big houses are a maintenance and cleaning headache. Cut the size and even the rich may find they have more time to play music and make art. They might also discover themselves as makers, put their own consumption in check and apply their spirits and energies toward the creation of community. Back in 1971 I was employed by Porter-Leath Children's Center 868 N. Manassas in Memphis with a variety of job titles which seemed to shift as new things were found for me to do each day. When something needed to be fixed, I was the "maintenance supervisor." If the kids needed to do art work, I was named "director of arts and crafts." I was also the amateur staff photographer, filling the bulletin boards with photos of mothers and kids, the love being palpable between them. One day as "director of arts and crafts," I was sitting on a small patch of grass growing up through broken concrete with about a dozen students and 8 year old Leon was busy with black, blue and red crayons making bold strokes on his paper. As he darkened the page edge to edge with his harsh markings, I asked what he was drawing. "Can't you see?" he asked. "It's the Vietnam War." If I had not asked, I would have never known. But having seen the television images myself of the Vietnam War on the nightly news, I could not have done a better job myself. If I had looked at Leon's art without asking the question, I might have assumed his work to be extremely immature, just random marks on paper, but knowing what he was attempting to illustrate gave a clear view of sophistication well beyond his years. Children and their work in arts and crafts reveal a great deal to anyone willing to pay attention and take seriously what they express. These days both political parties, and all the high dollar administrators they have hired to shape American education are obsessed with standardized testing to measure progress. In an earlier time, teachers were trusted and trained to observe the growth of their children in normal classroom activities. Instead of hiring outside experts, schools had internal expertise in the form of teachers trained to assess real time, more sensitively and without disrupting the child's learning. So what if we gave up on standardized testing? How would we measure individual and school success? Arts and crafts provide parents and teachers insight and assurance that children are on the right track. Teachers can again be trained and trusted for that. Our national policy is to remove autonomy and judgment from classroom teaching and invest it in external standardized testing authority. What kind of idiocy is that? Just as a child may be a craftsman, naturally compelled to learn and grow in his or her manipulation of tools and materials, teachers given a choice, will choose to do their best work. The misguided assumption by some that they are not to be trusted with autonomy to do so is a great tragedy in American schooling. Through understanding what children express in the classroom, we can safely discard almost all of the intrusive, artificial means that have become the driving force in American education. I don't expect anyone from the Obama administration to be reading this, but still, it is past time that we do something about it. Can it be that the reason that Finland's schools are so successful is related to the idea that teachers be trained to observe the growth of their children and trusted to teach? Human beings are inclined toward relentless growth, provided we don't do something stupid to stop the train. The small clipping at left from Time Magazine describes the increase of ADHD diagnosis compared to age-eligibility cutoffs for kindergarten. Parents should be advised to ease up. Don't make things easy for your children, but allow for their growth to unfold at a more natural pace. Fitting them too soon to the harsh institution of modern schooling is likely a mistake. By all rights a child should be engaged in his or her own self-controlled education through exploration of real world material qualities through craft, exercise of his or her own body, and observation of the great outdoors. 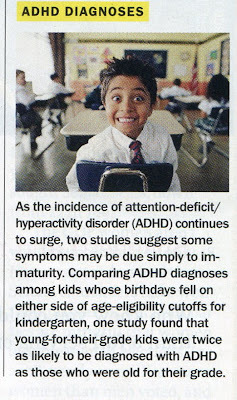 Stick that child too soon in a classroom, you may find that child diagnosed ADHD, unable to sit still, and unable to remain focused for long periods of classroom instruction. That child may learn to hate school and that seems to be the choice we have presented to many of our children. One of our teachers at Clear Spring School told me about a friend who had been called to school for a teacher conference because her first grade son kept falling out of his desk onto the floor thereby distracting the class. Can't people understand that children falling out of their desks in response to boredom is a good thing? It tells you of the possible torture you are inflicting on all the rest of the students, and that you are stealing from them the opportunity for actually learning something? If we have become a nation of idiots, we have only ourselves and our schools to blame. I have been working on making inlaid ties as you can see in the photo below. 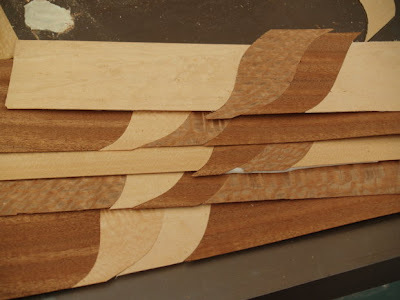 First I tape a number of pieces of veneer together in a stack, then make scroll saw cuts so the pieces of veneer can be rearranged in relation to each other. Tomorrow I will use a template to rout these inlay assemblies to shape and then rout the matching spaces for them to fit. If everything went as we imagined it would, or wanted it to, or as others expected us to pull off, life would be a drag. I had intended to use my vacuum bag to clamp the veneers on the fronts of my tie cabinets, but guess what? The bag was too small. No sweat, there is always plan b, and it is a good thing there are always a number of ways that one can do things. Life would be boring without the opportunity to catch curve balls, or steal base. In the photos above and below, you can see some progress on my tie cabinets. 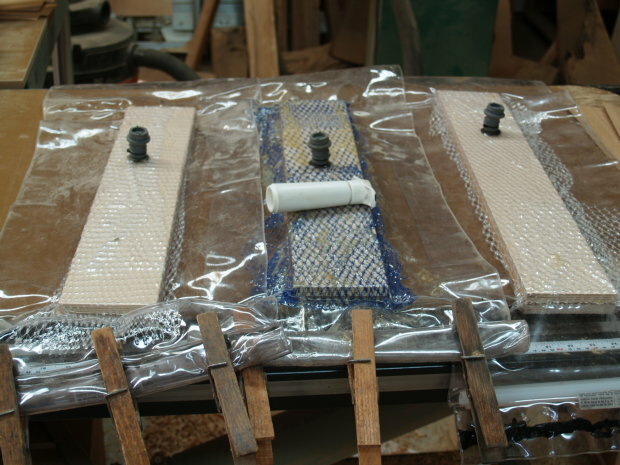 Above you can see the arrangement of clamps holding the veneer in place as the glue dries. 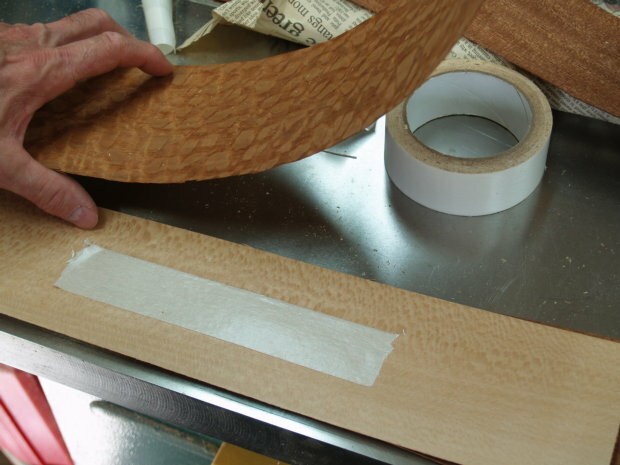 Below, you can see the beginnings of making inlaid veneer ties to decorate the outside of the cabinet. I'm using double stick tape to hold a set of 4 different veneers in a stack. Tomorrow I will cut them apart and rearrange them in an interesting pattern before they are inlaid in the cabinet fronts. Come back and see for yourself. Now just imagine you have employment in which you are challenged, and held accountable for your mistakes. Imagine you are criticized or even punished for taking risks. In business, there may be an understanding that it takes effort and trial of the unknown in order to gain success. In education, the attitude and latitude for mistakes, error and experimentation is absent. Can you see how much of a mistake that is? race to the top, or do kids need more play? The US Department of Education named "winners" in the race to the top second round of funding awards. It amounts to more teach-to-the-test, school accountability stuff intended to make American schools more competitive for the 21st century. You can read about it in Education Week, Race to Top Winners Rejoice, Losers Parse Scores. Or for more interesting reading, Education Week also has an article about play. Teaching Secrets: Let Them Play. We can learn a few things from standardized tests. For instance, in Finland (no doubt my regular readers are tired of hearing about Finland) children in 8th grade are significantly better at reading and math than students in the US. They begin reading at age 8. We begin at 5. Do the math. They beat us by waiting, by playing, by doing crafts in Kindergarten. They become better readers in 37.5% less time by being cognizant and respectful of the natural development that takes place in each child. If we have become a nation of idiots, we have only ourselves to blame. We decided as a national policy that it would be fine to be an information based economy and a nation of consumers instead of fixers, makers, and growers. 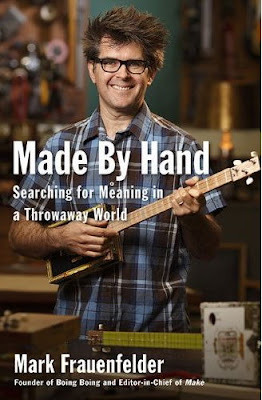 I finished Mark Frauenfelder's book Made by Hand, Searching for Meaning in a Throwaway World. I have also been reflecting as I always do, on the Wisdom of the Hands. I have a sense of immediacy with regard to what we are needing to do with the restoration of hands-on learning in schools. We are doing damage to our schools, our children and our culture by neglecting our hands. We are not just challenged to fix things, but to fix all that, too. For parents, that may mean throwing out a few devices and buying or making tools in their place. It may mean making messes. Paper scraps and sanding dust are inevitable in a fully creative life. In schools, it means revolution. It means art, craft, making and design, and also biology and chemistry labs in place of text books, standardized testing and work sheets. But that sounds like work doesn't it? Let me assure you, it is not. It is joy, it is pleasure. It is restoration of self and discovery of deeper meaning. Frauenfelder, in the final chapter of his book states, "I am not alone in my discovery of the joy of using your hands to build a richer, more meaningful life." And as you probably know from your own life, he is not alone. Make, cook, fix, create. Get better at something tangible. The rewards are palpable. 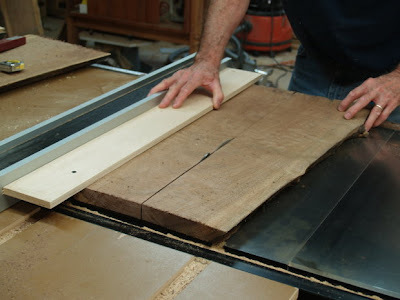 This afternoon in the woodshop, I am continuing work on veneering my tie cabinets. 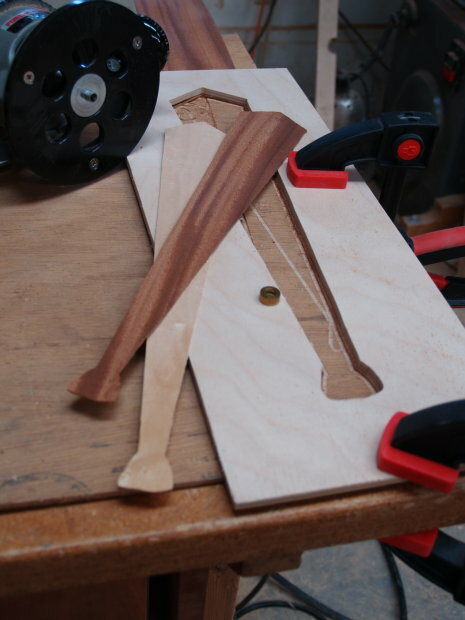 Now, I am ready to apply the veneer to the fronts and backs of the elm veneered ones. 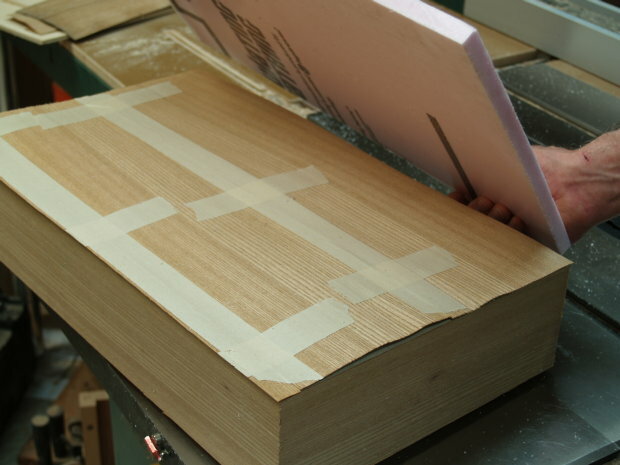 Before vacuum veneering, I fill up the empty space at the inside of each section. This alleviates stress from the pressures involved, and also reduces the amount of pumping I will need to do to remove air from the vacuum bag. 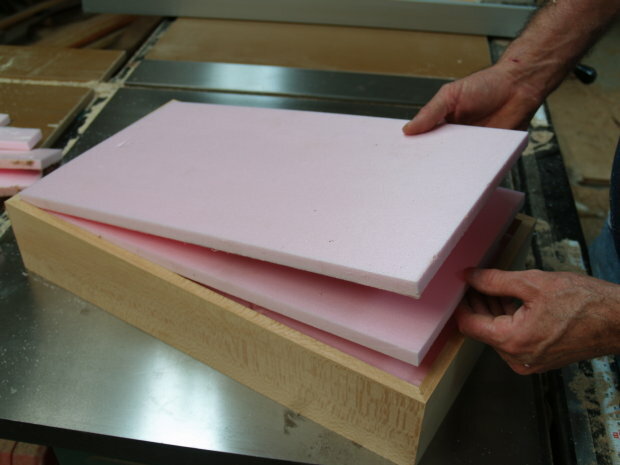 As you can see in the photo below, I've also made a foam piece for the top of the stack to evenly apply clamping pressure. 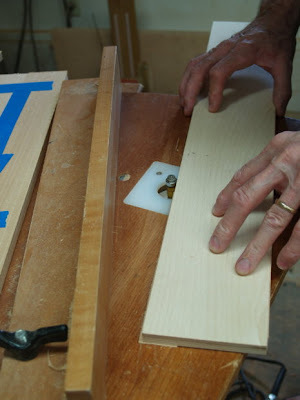 As you can see in the photo, I'm practicing and testing methods to inlay ties on the front of a tie cabinet. What you see is a router inlay kit available from most woodworking suppliers, and a Baltic birch template which I cut out using a scroll saw and two ties cut out using the kit. 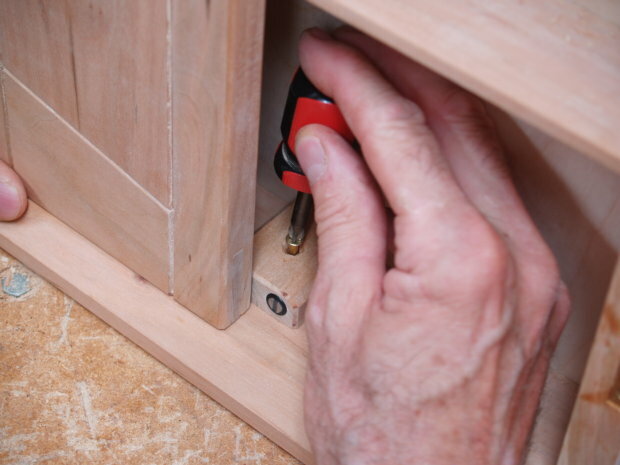 The router inlay kit consists of a guide bushing, an outer bronze bushing, and a 1/8" router bit. 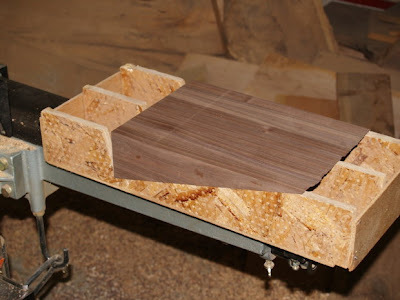 With the outer bushing in place over the guide bushing, the router removes the space for the inlay to fit. 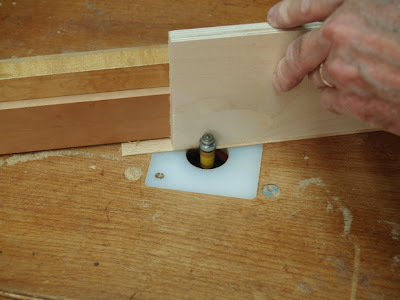 Remove the outer bushing and then rout the material to fit the space cut for it in the earlier operation. The same template serves for both cuts. This is just the start and practice cut. The real inlaid ties will have more intricate designs. offering degrees in things that matter? You can see I've shifted gears slightly today by beginning to make the bases for the Arkansas Quality Awards "Governor's Award." This has been an annual event in my woodshop since 1995 when I was selected to design the award base. 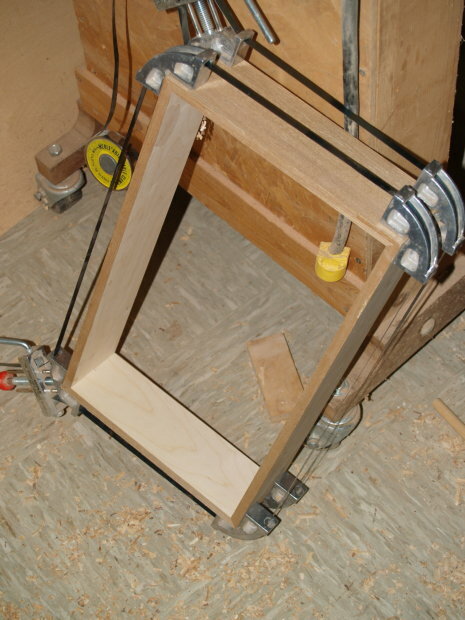 The first photo shows the simple jig that carries the glued assembly through the planer. The University of Arkansas has a graduation rate of 38 percent in six years. That means that 62 percent of those students entering this fall as freshmen will not graduate within the next six years. There are a number of reasons. One is that students come to college ill prepared. The remediation rate, those incoming freshmen needing to take remedial courses to be fully able to attend, is 54.7 percent. Remediation cuts into the time available for the standard course load, and when over half of incoming freshmen aren't ready for college in the first place you can expect some difficulties to follow. Many students change interests and majors forcing them to take many additional courses. Upon entering students have little knowledge of possible career choices and due to teach-to-the-test schooling, know very little about where their own interests might lie. Many students, having to work and attend school, just can't devote themselves to the coarse load, despite their original intentions upon enrolling. The other factor simply involves maturity. A huge number of incoming freshmen become involved in irresponsible college activities. Party, party, wasting state aid, parental contributions, and taking on debt that may not be paid until years later. There has been some pressure at the U of A to make things easier, so that students can graduate on time. There has also been some pressure to expand the offerings so that student educations are a better fit with community needs and job opportunities. This year at the University of Arkansas Fort Smith campus they have added two additional majors, Media, and Diesel Mechanics. That second one surprised me, as I thought that diesel mechanics would be a field of study offered at a technical school rather than a university. Is that a sign of good things to come? Can it be that a field of study one can do hands-on, might be afforded the same status as a degree in philosophy or poly sci? When college degrees have become so expensive and irrelevant, you've got to do something. Blog readers might enjoy this earlier post, Two quotes, as it relates to the purpose of land grant colleges like the University of Arkansas. A Skeptic's Guide to Assessment Programs, which is kind of on the same subject. Education corporations are very busy selling underfunded schools, proposed miracle cures for raising test scores and increasing school performance. Smoke and mirrors is the game and the destruction of children's enthusiasm for learning, the consequence, along with ruination of the teaching profession. In other words, Alfie Kohn suggests that we not be fooled, and that testing and the multiple near-nefarious proposals to raise test scores are not the matters that should concern us. "Distilling a large body of research, psychologists Martin Maehr and the late Carol Midgley reminded us that “an overemphasis on assessment can actually undermine the pursuit of excellence.” That’s true even with reasonably good assessments, let alone with those that are standardized. The more that students are led to focus on how well they’re doing, the less engaged they tend to become with what they’re doing. Instead of stuff they want to figure out, the curriculum just becomes stuff at which they’re required to get better. A school that’s all about achievement and performance is a school that’s not really about discovery and understanding." To read this article will require that you register, but you can register for free. 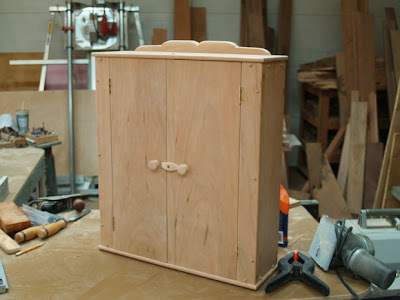 As you can see in the photo above, I continue to make some progress on my small tie cabinets. I used biscuits to join the corners, and will assemble the veneers for the front and back and laminate them to Baltic birch. There are two forms of knowledge, or presumed knowledge-- that which we can explain and is based on reason, and that which we cannot explain rationally which is often based on fear, conjecture and emotion or conversely, trust and love. And while inexplicable knowledge may actually be false, it tends to seem even more real to those subject to its effects. An example is the "ground zero mosque" which isn't at ground zero, but rather two blocks away and isn't planned as a mosque, but a community center. The project has been used to stimulate huge public outcry against the Muslim faith. The term "ground zero mosque" is being used as a metaphor to incite unreasonable emotions to gain control of the electorate. While it is all a despicable example of American politics, the situation is a good one to illustrate the relationship between the explicable, inexplicable and the metaphor used as bridge between the two. We know that there are some baseline skills that all children need. The ability to read is one. We also know that children are drawn to doing things within peer acceptance that offer recognition and allow them to stand out. 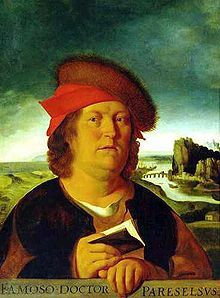 Paracelsus statement, "I am different from you, let this not upset you," describes the challenge faced by every child who makes the attempt of reaching beyond the norm to some specialized and unique level of expertise or skill as each universally and of necessity must do. Dr. Howard E. Gruber noted the problem as follows. Developmental movement toward universally shared ideas, the common understanding, diminishes the psychological distance between the child and those around him. The development of the creative person has an almost opposite effect. The more he succeeds in constructing a new point of view which governs the look of all problems and possibilities, the more he increases the distance between himself and others. He must fashion ways of coping with this distance, accept a sort of existential loneliness. The distance is not only a necessary consequence of creative work, it is a valuable tool—preventing the creative person from sinking back into banality. And so, how do we create schools that provide the basics to all children and also provide the opportunity for each to rise to his or her highest potential as craftsmen? There is a great model for that. The Big Picture Co. Schools began with the Met School in Providence, RI and there are now 123 of them world-wide, each reshaping the high school experience and building into the high school structure ways for each child to express his or her unique interests and skills. One of the important programs of the Big Picture Schools is called LTI, or "learning through internship" which places students in learning and mentoring opportunities outside of the school walls. I invite my readers to become more aware of Big Picture Schools, as hopefully, there is one coming to your community too. One of the best things about Big Picture Schools is that the LTI program brings non-teachers into the educational process, serving as on the job trainers and mentors, helping each child to reach toward unique expression far beyond the basics of a high school education. Just imagine schools in which bankers, chefs, farmers, artists and craftsmen of all kinds are empowered to pass on the skills and interests that have led them on lifelong learning pursuits? What the heck are we waiting for? "I am different. Let this not upset you," wrote the medieval philosopher Paracelsus. Now if all the creative person needed to do was to maintain his distance and sense of specialness, his work would be easier, but for us the task of distinguishing creativity from psychosis would become impossible. The distinction, however, is implicit in the plea of Paracelsus. He recognizes that there is a difficulty, that he is looking at the world from a special place, that others see things differently. His words are not only a mark of recognition of his own plight, but also of the plight of those around him. This obligation to move back and forth between radically different perspectives produces a deep tension in every creative life. In the course of ordinary development similar tensions begin to appear. What we mean by such terms as adaptation and adjustment is the resolution of these tensions. But that is not the path of the creative person. He or she must safeguard the distance and the specialness, live with the tension. And so, how do we create schools in which all children are encouraged to attain special skills and capacities? Can you see that there are risks? Can you see how mentors might help? Earlier in the same text, Dr. Gruber stated: "Developmental movement toward universally shared ideas, the common understanding, diminishes the psychological distance between the child and those around him." That is where the mentor comes in. 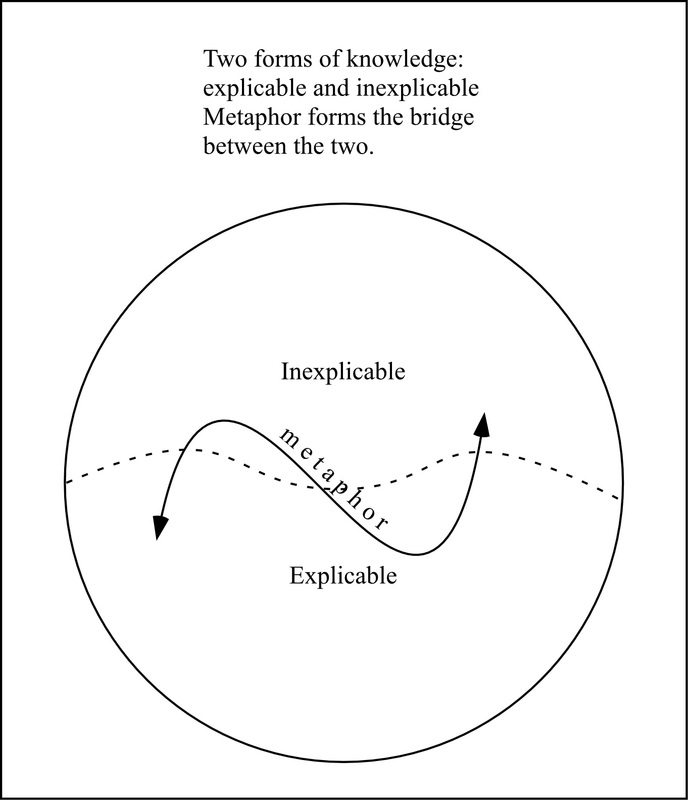 A few days ago, I posted on the subject of David Henry Feldman's metaphor, The Child as Craftsman, and today I want to share Dr. Feldman's exploration of assessment. Our fixation on assessment is what drives our continuing "no child left behind" like testing psychosis, even within the Obama administration. Testing is a holdover from earlier metaphors discussed in the earlier post, which for the sake of making my writing a bit easier this morning I won't repeat. "The first is simply a restatement of the educational aim of engagement in a more precise form; to the extent that greater numbers of individuals find fields to pursue, find work that engages their energies and through which they derive satisfaction, education can be considered to be making progress." Imagine this relative to the level of disengagement we too often see in American classrooms. "education is done well, creative contributions will tend to take care of themselves. In other words, an education which fosters sustained commitment, satisfaction and joy in accomplishment will naturally lead to occasions that require one to go beyond the limits of one's craft. To reach the limits and find yet another problem to be solved, a goal to be achieved, an idea to be expressed, a technique to be worked out--these are the conditions which favor creativity. "I submit that the twin signs of progress toward a fruitful education for the future are; (1) an increasing number of individuals engaged and committed to pursuit of mastery of their fields and (2) he number of novel, unprecedented, or unique contributions that occur in these fields." "If young children were prepared for a future of craftsmanship it might be possible to strike a better balance between the inculcation of basic skills and the encouragement of human expression; a balance, I hope, that does full justice to the universal and to the unique in each of us." I have been reading David Henry Feldman's book Beyond Universals in Cognitive Development and it is a tough read for a woodworker. It's not that I don't have the intellect for it, but that just as a professor from Tufts might have to work his brain around how to cut a dovetailed joint, I am a bit unused to the domain. Here is a woodworker's nutshell, and a bit about how things dovetail with the Wisdom of the Hands, and I offer my apologies to Dr. Feldman if for any reason I have missed the point. Children, regardless of location or culture, go through universal stages of development, provided they are in an environment offering at least minimal opportunities for those stages to occur. Child development study as initiated by Piaget and others has been largely focused on those "universals". Kids walk, talk, begin cognitive processing, development of the ability to reason, at a pace, within a time frame, that can be observed throughout the world. Dr. Feldman suggests that developmental psychologists look beyond the universals to those developmental aspects which drive a child toward unique, as well as universal expression. That is where the "child as craftsman" metaphor comes into the picture. You really don't have to spend very much time with children to learn that they are very interested in finding ways to excel and express exceptionalism. In fact, one could suggests that one of the universals in child development is, given adequate environmental support, the impulse toward the unique through the development of specialized skills and abilities. There is an interesting parallel in the making of furniture. Furniture craftsmen in the Studio furniture movement, try to establish a look for their work that is distinctive, that can be regarded as "signature," a unique expression. The irony is that in order to gain recognition for unique expression, one has to touch upon or incite a sense of the universal within the viewer or potential buyer... Not a sense of "Oh, that's different." But a sense of "Wow, that touches me and means something to me!" And so, you can see that the life of a craftsman is a balancing act between the unique and the universal. If craftsmen can do it, can it also be balanced in our nation's schools? 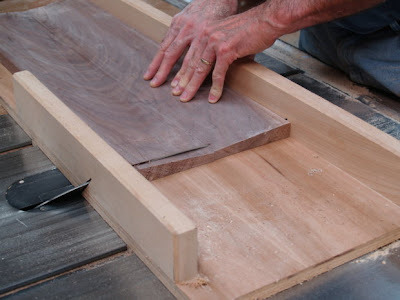 The photo above shows one more step in making a small walnut display cabinet. You will have to use your powers of creative visualization to see what I'm doing. 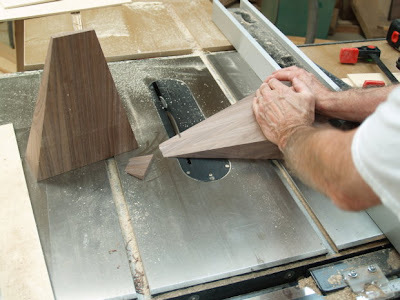 As the edges become tapered from the bottom of the cabinet to the top, the edges will also become tapered in thickness, narrowing toward the top. There are many things involving human intelligence that can't easily be put in words. And yet in academic settings discursive ability has long reigned supreme. Now, with failing schools and failing economy, the time has clearly arrived for the strategic implementation of the hands... and (thanks to Dr. Feldman) recognizing "the child as craftsman." Each day we have the opportunity to discover or rediscover something useful. 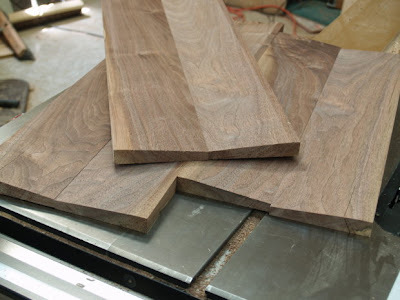 In the woodshop this morning I have a series of steps which need to take place having to do with taking very raw material, in this case, waney (random or natural) edged walnut, and turning it into a workable material for making a small cabinet. How do you rip a straight line down the middle of stock with no straight edges to follow the fence? Use two screws to attach a guide piece that can follow the fence for a straight cut. Just be sure you put the screws where the saw won't hit them and where their holes will be cut away in the finished stock. I don't know whether others have the same forms of awakening from dreams experiences as I. Being one who works at least part time in the concrete rather than abstract, being involved in shaping real physical forms from wood there are nights from which I awaken to clarity about how some particular thing I am intending to do is to be done. This morning's epiphany is an extremely simple technique I demonstrate in the photos above and below... a technique to taper the edge of a board through an extremely simple and precise method. I had been thinking of more complex techniques occasionally for days and now having had my awakening, my epiphany, I get to demonstrate simplicity so that others can see, (and do) as well. The boards will be glued back together as shown but because of the taper in towards the center, as they are tapered upward on the outside edges, the thickness of the edge will gradually diminish toward the top... a subtle visual effect, but one that I believe will be worth the small amount of effort at the start. Many of my artist friends tell me that they think in images rather than in words. How about you? For many non artists, the rush of dream images in the night may be their clearest engagement in non-discursive reality. They may awaken fearful of what they find. Can you see how becoming a society of makers again might bring full intelligence to greater life? To become a maker is to awaken from a dream to full capacity. Lao Tzu wondered whether he dreamed he was a butterfly or was a butterfly dreaming his human form. Here I am at the edge of things... attempting to suggest greater meaning from dreaming and from making. And if I tell you that making is an essential human trait, that the integration of consciousness is dependent upon it, can you understand what I am dreaming/talking about? A picture is worth a thousand word, but words have a tendency to lock us in position and lock our intelligence within bounds. Break free. Make! Create! Use your hands to engage your full human intellectual capacity. Scholars have suggested that Borges's progressive blindness helped him to create innovative literary symbols through imagination. Borges commented "poets, like the blind, can see in the dark". Borges wrote: "When I think of what I've lost, I ask, 'Who knows themselves better than the blind?' - for every thought becomes a tool." Thank you Mario for the introduction. Blog reader Julie McClung sent these photos from her summer church camp, "Growing Interests, Fellowship, Talents and Skills". First they made benches like the ones we use at Clear Spring School, and then they put nearly a hundred kids to work, making things from wood. Some chose to do things from their own imaginations, and no doubt all will remember their woodworking for the rest of their lives. It can have that kind of effect. Nice job on the benches, Julie. Also, I like seeing a church equipped with modern woodworking tools. Note the stained glass in the first photo and drill press in the second. The scene takes the idea of carpentry to a new level. Back when the Scandinavians invented Educational Sloyd, woodworking was perceived as being a means through which to shape character and intellect. When you make something, you either make it with all your heart, or you don't and it is a joyful experience to do so. Today, I continue putting lacewood and elm veneers on Baltic birch panels for making small cabinets, and am also in the midst of planning for this coming year of woodworking at Clear Spring School. The September/October issue of Wooden Boat Magazine arrived this morning. As you all know, Wooden Boat and the community that has grown up around it are the foremost proponents of hands on learning in America. If schools could understand the way working with the hands affects all learners, we would have a revolution in American education. Bending woods and shaping minds--large-scale boatbuilding offers countless opportunities for critically important teamwork. Some boatbuilding tasks require individual students to evaluate situations and to make subjective judgments: Is the bevel fair and ready for the next plank? Boatbuilding teaches life lessons, including a tolerance for tedium: The Champlain gigs have 60 frames each, and each of those frames has 30 rivets. Now, when you ask corporate executives in the US what they want from the coming labor market, they ask for employees who work well together in teams. They want problem-solvers, capable of well reasoned judgments. And they want employees who demonstrate dedication to completion of important tasks. But when it comes to attempting to influence public policy on education, what do they demand? Testing, testing and more testing. What idiots. And while some of us hoped that the Obama administration would be an opportunity for change, it seems the same corporate lobbyists are in control pushing for same old stuff. Disgusting, disappointing, but true. In the photo above, I am doing a very simple thing, routing the edges of recently veneered panels. You don't have to be making something as complicated as a wooden boat to benefit from the wisdom of your hands. You might enjoy the following from the New York Times:Outdoors and Out of Reach, Studying the Brain. After teacher meetings today, it was a fine thing to go to the woodshop and glue veneers on some panels using Thin Air vacuum veneer presses as shown below. where are we going and how will we know when we get there? I thought I would start off with a good left brained title for today's post. The right brain might be noticing that we are here now, you sitting at your computer and I sitting at mine and finding some pleasure in the shared exploration of hands-on reality. If we had infinite brains, capable of using an infinite number of words, those words would mean nothing, because each one would have too specific a usage. Our early hominid ancestors were spared from that problem, but with the coming of the internet, we are in danger of encountering it now. Or more precisely, we are in danger of pretending with such intensity that we are encountering it that it might as well be true. Today, I have teacher meetings to plan out the coming year. Consequently, I'll have little time for the woodshop. "A tool can grow out of man's control, first to become his master and finally to become his executioner. 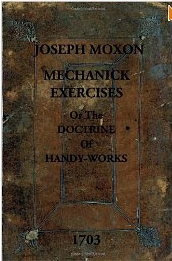 Tools can rule men sooner than they expect: the plow makes man the lord of a garden but also the refugee from a dust bowl. Nature's revenge can produce children less fit for life than their fathers, and born into a world less fit for them." So what types of tools should we as wise teachers and parents give to our children? Shall we start with the most powerful ones that give a distorted sense of self...a distorted sense of reality? It is a question we must ask. In the meantime, I am working on chapter 3 of Small Cabinet Basics, this one a veneered cabinet for ties. 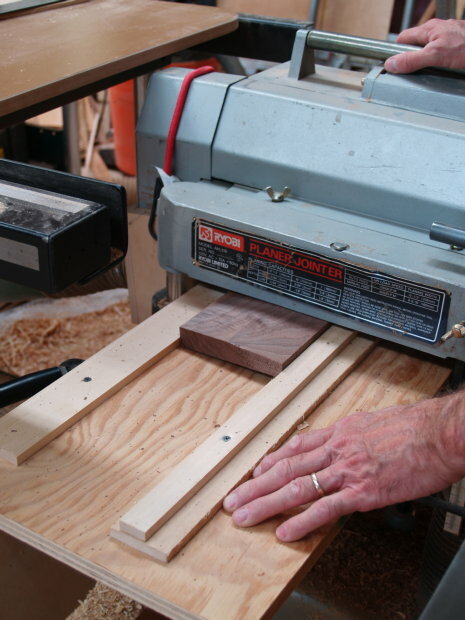 It is easier than you might think, and in the photo below you can see using the router table to trim edging veneer on the Baltic birch cabinet sides. Tomorrow I'll vacuum veneer the sides and begin assembling the veneers to go on the front and back. I think my readers will love this project, even though at this point much of it still resides in my imagination. What do we learn from physical expression? What do we learn about the maker of an object when we see, feel and touch the object he or she has made? Is there a difference between seeing and feeling such an object and seeing or feeling something made in massive quantities and without the engagement of a singular soul? What do we learn when we sit in the presence of a musician whose hands are on the strings and whose voice is live vs. listening to a recording on an iPod? If you can understand these simple differences, you will know what schools should be like. In Dearborn, we broke down into smaller groups to brain storm and imagine what the school designed as a place of making would look like. There would of course be studios and tools. Each of us drew on our personal experiences, so the design of my school would start from the foundation of Clear Spring School. But as a school even further dedicated to making, I would add the following for consideration as a radical departure from the standard high school education. Each of the four years of high school would be dedicated to one of the 4 classic Greek elements, Earth, Air, Fire and Water, and the exploration of each of these through making would be the means through which important questions would be addressed. The idea is to shift education from being a means through which considered-to-be-important set curricula are force-fed students and upon which they are tested and measured, toward becoming an education in which children are invited to be creative problem solvers under the guidance and influence of artist mentors. Earth- students would explore the physical qualities of the planet, make things from clay, learn minerals, plant gardens. Air- students would make music, explore space, sound, light, paint and make stained glass in the exploration of color and design. Fire- students would learn welding, the making of steel things, become reunited with pottery in the firing of kilns, learn about combustion, diesel, gas engines, heat, chemical reactions. Water- students would explore boat building, rivers, navigation, the connections between us that build society. And so, what are the important questions that should be addressed? Maybe there are a few like these: We have just experienced one of the hottest summers on record. Is there a reason for it and for the fires that have come as a result? Clean water is endangered world wide and becoming scarce for people throughout the world. Can we do something about it? How do we develop a society in which diversity is valued? How do we act in the renewal of the earth, the planet we share and upon which our lives depend? When kids they hit middle school they are ready for important issues and are ready to become engaged in finding answers. Do you have ideas for a school centered on making? Share through the comments below or via email at right. great living or great life? This morning I read about Maine zero-carbon lobsterman, Nat Hussey in the Arkansas Democrat-Gazette. Funny to find an article about lobstering in Maine in an Arkansas paper, but it is news to some that a great life can be made from simple things. The same article can be found from the Associated Press on-line here. Nat uses a 15 foot peapod, a hand-crafted traditional wooden boat with oars and sail, to propel himself between traps and uses his own strength to haul the traps, just as Mainers did before diesel powered boats and hydraulic winches began caffeinating the industry. Even with the carbon hungry, CO2 spewing accoutrements of the modern fishing industry, it is a rough and hardy life. Nat, at age 47, going near naked in comparison, seems to have earned the respect of his fellow lobstermen who have been known in the past to have shoot-outs over intrusions in each other's territories. I guess one man, a fragile wooden launch with oars and sail can't be seen as much of a threat. But he seems to have whittled a meaningful life for himself. Nat had been a professional attorney and decided to go for something more spiritually rewarding and ecologically sustainable. He writes about it in his blog, Outpost Matinicus: Notes from the island, music and zero carbon lobster harvesting. I can remember a few years back when the powerful people in America had decided that it was a good thing that we were no longer a nation of producers, manufacturers, etc... that we would thrive as an "information based economy." This was their steady mantra as they outsourced American jobs to squeeze more nickles from the American consumer and keep more dimes for themselves. Doesn't that make you question the nature of human intelligence? Get smart, get handy. Make, fix, plant, sew, make music, create, make life more meaningful and intelligent through the strategic implementation of your hands. People think of the arts and science as being separate enterprises, separate cultural institutions, but are they? Can you be a craftsman, a maker of things, without also being an investigator of material properties? Can you successfully make anything without becoming a self acknowledged observer of various phenomenon? Can you use a tool mindfully and successfully without learning the physics involved in what it does to wood, or steel or clay? Scientists would perceive their own enterprises being loftier than the making of things, but their science would be more intelligent if they were also trained in craftsmanship. Scientists tend to be reluctant to acknowledge their debt to the arts, and the supremacy of the arts, but science without the arts would not exist. A society of scientists without the capacity to make instruments, and test principles would not be very scientific, would it? We build a nation of scientists and on principles of science by starting children crafting things in schools at the earliest opportunity and throughout formal education. To teach without making and craftsmanship is to place ourselves at risk of becoming a nation of idiots. There is a difference between the artist and the scientist. For the scientist, those things which cannot be explained are often granted no fundamental existential qualities. For the artist, the pursuit of those things which have no fundamental existential qualities is the raison de vivre or in Swedish, anledning att leva. This weekend, I'm attempting to get two chapters off in the mail on my small cabinets book. It is a daunting organizational task as these first two chapters set the tone for the book. The first sidebar is about making this tenoning jig which will be seen in various applications making doors, cutting tenons and shaping parts. 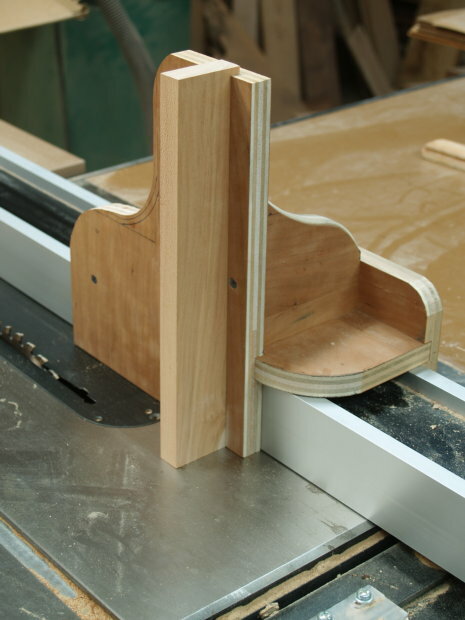 There are reasons to own a professional cast iron tenoning jig. I do. But there are reasons to make your own. I did, I do. And you can too. I don't remember when I first saw a jig like this one in use. At the time, I didn't have the money to buy a professional model as that was before the huge influx of Taiwanese cast iron products that hit in the 1980s and 90s, so I had little choice but to make what I needed in the wood shop. Now, and as things are made easy for us, we rely less on our own inventive powers and are thus diminished in character and intellect. But nothing can really stop us from making things on our own. It is a choice. Nothing can stop us from doing on our own or from harvesting the intrinsic rewards from having done so. While there really aren't as many ways for Eskimos to say snow as has been commonly believed, there are 11 ways to say skilled in Swedish, fackkunnig, skiklig, bevandrad, erfaren, fullärd, van, förfaren, yrkesutbildad, yrkesskicklig, rutinerad, and last but not least, slöjd. Does that tell you something about American culture where it seems we only have one? The child's traits or capabilities would determine the extent to which he could absorb the knowledge presented by the teacher...The teacher, by virtue of having mastered the knowledge himself, did not need to demonstrate any special ability to teach. His responsibility was to determine what was taught, and when and how. In other words, the child was an empty vessel and the teacher was a pitcher of knowledge prepared to pour until the child had reached his or her own individual capacity. the "basic mechanisms of learning are the same for all individuals (even for all organisms) ... and the amount that one learns should be a direct function of the environmental experience one has had...The environmentalist metaphor... removed the responsibility from from the shoulders of the overburdened child and placed it on the shoulders of the now overburdened teacher. No child was deemed to naive or dull to learn. Learning was a function of the environmental arrangements that a good teacher was able to make. 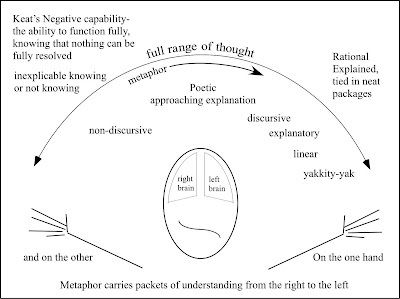 The third metaphor which Feldman called the stage development metaphor "is loosely based on the work of developmental theorists, Piaget, Erikson, Kohlberg, Werner, Loevinger, and others." The child is seen as proceeding through a series of qualitatively distinct stages, each of which provides powerful rules for interpreting reality and guiding behavior. 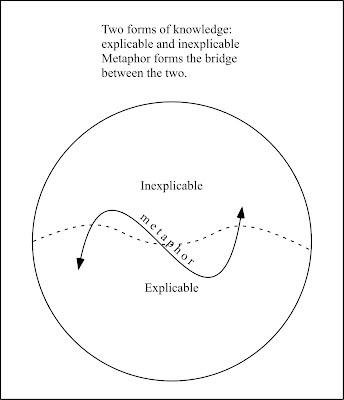 If you look at modern education, you will find evidence of each of these three metaphors variously applied, giving foundation to various schools and methods, and shaping the objectives of various teachers in classrooms in America. Looking at the state of American education one would assume that a new metaphor might be in order. In his 1977 article, Feldman offered "The Child as Craftsman" as a fresh alternative. Perhaps the most important implication of the metaphor is to suggest that it may well be the main purpose of education to provide conditions under which each child will identify and find satisfaction through a chosen field or fields of work. I will be offering much more on the "child as craftsman" in the days, weeks, months and years to come. We wonder whether to present a smorgasbord of crafts to our students thus allowing students to touch lightly on each one, or whether it would be most appropriate to present just one and allow students to become immersed in the development of skill. 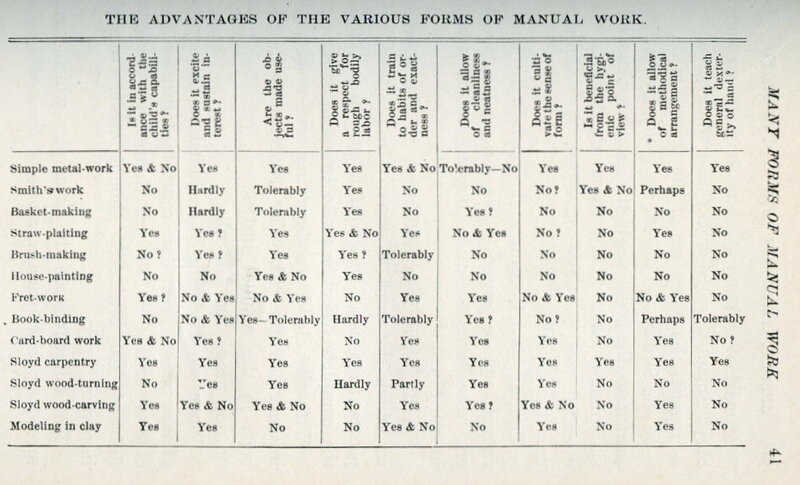 Assuming that it was impractical for schools to present a wide array of crafts, each requiring trained teachers and specialized equipment, Otto Salomon produced the chart above to compare the advantages of woodworking with other crafts for pedagogical purposes. But there is more. I was reading an article by Richard Jagels last night in an old copy of Wooden Boat that "Wood Can Last for 40 Million Years." Jagels article reminded me that the whole history of our planet is inscribed in wood, from our buildings to our utensils, to the natural environment. He had visited Axel Hieberg Island in the Canadian High Arctic where trees of ancient forests have been preserved for 40 million years. Given a chunk, and some tools, I could make something beautiful. To become knowledgeable concerning wood, is to be in touch with it all. Click on the chart above for a larger view. This morning, I have been applying finish to a variety of small cabinets as shown above. I am also going through photos, putting them in order for captioning and to serve as a guide for writing the text. I have had a small article approved for Make Magazine, and will send off the contract today. Teachers of writing underestimate the value of how-to writing for engaging their students in learning to write. The blank page is daunting. But those who have most often been chosen to teach writing are those who write easily, have an aptitude for it, and too little understanding of what it means to stare at a blank page with the clock ticking on results. It can be real hard to write when you're not confident about having something worth writing about and knowing what you do write will be subject to critique. To have real things to write about is of immeasurable worth, and follows the early progressive education maxim, "move from the concrete to the abstract." If we were not such a nation of pedagogical idiots, our schools would be filled with making, instead of just listening to lectures and writing about abstract stuff. If kids were making, they would have something of interest to write about. School is enough to drive one either to abstraction, or to make the great escape from the school walls, toward the beauty of nature and the lure of real stuff. On another subject, my daughter Lucy has begun teaching her classes in biology and chemistry at Nsawam, Ghana. She told me that in her first class, she organized her students into parts of molecules so they could act out the drama of existence as its most fundamental level. Earlier in the year, I had met a professor Aleicia McClain, Ph.D from Norfolk State University in Virginia on a flight from XNA. Dr. McClain uses the same technique in teaching organic chemistry at the university level. Great minds often arrive at the same point either through experience or desperation. The method involves embodied cognition. When our whole bodies are engaged in learning, we understand better and remember longer. But then if you've been paying attention to your own learning, you would have known this without me every having said a word. I suspect Lucy having arrived at this technique is the result of her having been a student at Clear Spring School. Time magazine this week describes a survivor type game show called "Work of Art" on Bravo in which contestants create art with one contestant being eliminated each week. A panel of curators judges the work and the winner gets $100,000 and an exhibit at the Brooklyn Art Museum. I guess it points out what art has become in today's culture. In Bali, it was said "We have no art... we do everything as well as we can." In the American culture, we have art because we have so little done with care and human attention, and even that has become pretentious. Needless to say, it is a controversial series which no doubt makes the advertisers lots of money. After all, as one important critic observed, "It's art if the artist says its art." By the same logic, it is great TV if people watch it. One critic scoffed, "Vacant television piddle." In a world where art is often about the complexity of the idea behind it, the challenges on the program have taken heat for being too simplistic. But what can one reasonably expect on TV? I am curious if the next reality series will involve skilled craftsmanship of the kind that one earns through years of workmanship and caring attention. It says something of the vacancy of art that it can be produced each week on cue and end up in the Brooklyn Art Museum. Today, not to make any claims of art, I have fixed the leaking toilet, replaced fluorescent light bulbs in the shop, and begun installing magnetic catches in my small spice cabinets as shown in the photo above. The other day, I mentioned the story of Archimedes running through the streets naked, proclaiming Eureka! having discovered by observing the water level rise in the tub as he lowered his body within, that by measuring the volume of the water spilled from the tub, he could also measure the volume and density of his own body! That is a story close to my heart, in that I live in Eureka, believe in heuristic education (discovery based), and have observed from my own experience that the whole of one's intelligence is often engaged while grounded in water. It turns out that Archimedes was not quite as smart as he, or some of us would suspect, relative to the assumptions we make about other species. Aesop had told the story of a crow which needing to drink from a pitcher of water had placed stones inside to raise the level of water high enough that he could drink. Last year, a zoologist at the University of Cambridge tested a rook, a member of the crow family. Just as in Aesop's story, the rook used stones to raise the level of the water, and even reasoned to use the larger stones first, as they being of greater volume were more effective at accomplishing the goal. We think of man as being the rational animal, until we see that we use very little reason, have allowed ourselves to be manipulated by self-destructive consumerism and have a massive adverse impact on planetary life. The study of animal intelligence as described in this week's time magazine article, Inside the Minds of Animals sheds light. The questions we must ask, having made such a mess of American education is, "Do human beings think?" "Are they capable of thought?" "And where the heck do we think we're going with what we've got?" An earlier article addresses the same issues.Can Animals Think? In the photo you can see the 2 door cherry variation of a shaker wall cabinet nearing completion. what happens when public school education gets stupid? 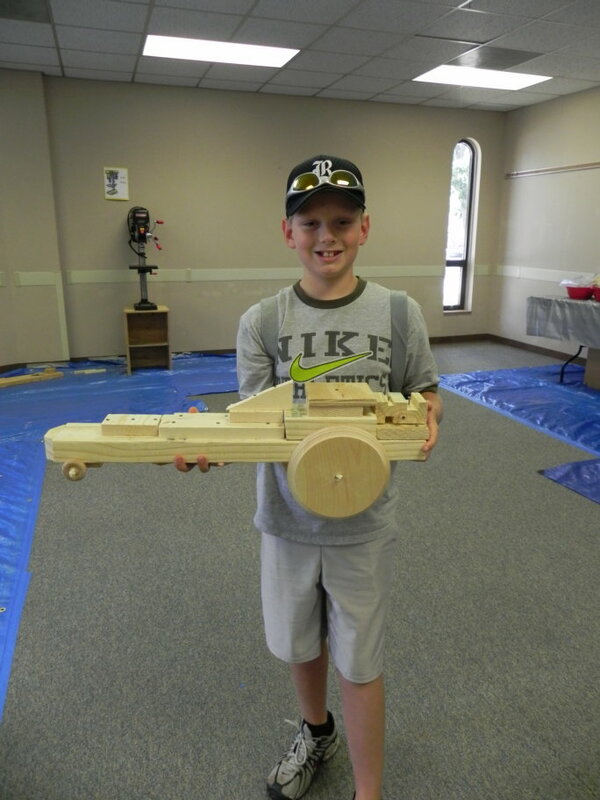 The Kansas City Woodworker's Guild is offering woodshop for home schoolers. The class is being taught by a former public school woodshop teacher with over 20 years experience. It represents a balancing factor. As intelligence is withdrawn from one place, it will likely pop up in another. I congratulate the Kansas City Woodworker's Guild for keeping interest in woodworking alive. And I marvel at the lack of judgment in our public education. Mental illness drives some teens to become addicted to the Internet, but what about the reverse? Can pathological Web surfing trigger depression? According to a survey of Chinese high school students,the answer is yes. Scientists found that healthy teens who used the Internet obsessively— reporting that they felt moody or nervous when not online—were 2.5 times more likely to become depressed nine months later than less frequent surfers were. One of the symptoms of depression is a loss of sense of control over one's environment and the circumstances of one's life. There is a simple neurological feedback loop through which efforts bring rewards. Evidently, mastery and control of the digital device is not a sufficient substitute for control of real world stuff, like real tools and materials that involve real physical engagement and non-virtual challenges. The threshold for rewards in the form of self-actualization and release of mood enhancing neuro-hormones is not met by twiddling our thumbs on keyboards. In the meantime, an editorial in the Arkansas Democrat-Gazette proclaims "the end of books." Reading is changing as people spend more time browsing on-line and less immersing themselves in such depths as books can offer. Evidently, the video gaming industry, too, is facing changes and challenges of its own as described by CNN: What does 'video game' mean, anyway? If we are all busy with what the Democrat-Gazette article called OCDs (online communication devices) not to be confused with IEDs (improvised explosive devices), we might note that both can have destructive effect. Prozac anyone? And wouldn't making beautiful and useful things be much more fun? I have been reading Mark Frauenfelder's book Made by Hand: Searching for Meaning in a Throwaway World. Mark, having grown up in our consumer culture and having found it lacking, became editor of Make Magazine, and thus became immersed in the DIY culture, even to the point of trying a few interesting things for himself, and describing his adventure, his failings and mistakes as well as his measured success. It makes for a good read. And so what is the relationship between making and the development of skill? Is it enough that we stop buying so much stuff and begin making things for ourselves that will be of beginner/novice dubious and disappointing quality? There is a natural human compulsion to make things better, to seek replicable success over embarrassing failure. As a craftsman compares results with the work of other craftsmen, he or she sees areas in which improvement can take place, and is then compelled to test new methods and refinements and develop greater skill. And so while we may begin by making crap, we do get better over time. In the case of American education, as we look at other models we might catch a glimpse of where things have gone wrong and where things might be improved. As a craftsman, attending my first national craft shows, I could see areas in which my fit of parts and finish of object could be improved to catch up. Later, as a teacher, I visited the wood shop at the University of Helsinki, and met kindergarten teachers learning to work wood, so that they could put their children to work learning by making objects. In the US, with our fixation on reading and math, there is little time or interest in such things. 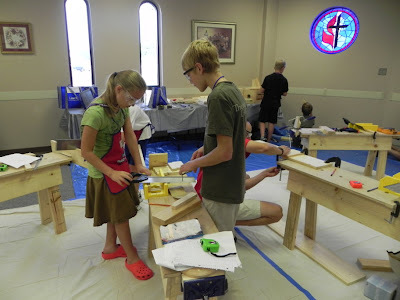 But in the early days of manual arts training in the US, the important point made was that through engaging children in woodworking, they would learn all their other subjects in less time because they would be more deeply emotionally and actively engaged in schooling. Is this a matter impossible for Americans to understand? Today is part of the "yards and yards of yard sales weekend" in Eureka Springs, so people have brought out some of what is normally concealed in the nooks and crannies of their old Victorian cottages so that things can be displayed on sidewalks and yards for a much hoped for dispersal and exchange for cold hard cash. I, too, should be making use of the opportunity to get rid of stuff. I did, in fact, give some rustic tables to the school, that were sold in today's yard sale, making room in my shop for more efficient work. How much of what we have is meaningful, and why? I visited with a friend about an old chair made by his mother's great grandfather, needing repair. 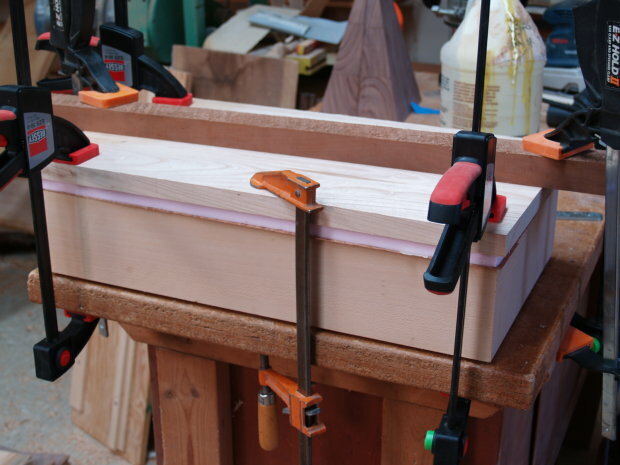 It is an easy fix, re-gluing two tenons that should give it life for another 150 years or so. In the meantime, across the street, we are selling antique chairs that were donated to Clear Spring School. They were made in that time period in which chair makers had transitioned from mortise and tenon joints to dowels. The chairs are good for as long as you can get them to last, but hardly worth the time required to make repairs. An antique dealer told me we could maybe sell them for $25.00 each or we could spend about an hour fixing each one and sell it for $25.00. There is a difference between well-made-to-last objects, and made-to-last-til-they're broken un-fixable objects that fill our lives to the point at which one yard sale master/seller's sign entreated, "Please rescue me from hoarding!" In the meantime, my daughter Lucy is in Ghana with just a few personal things, clothing and bedroll, while she teaches chemistry, biology and builds latrines. A rich life in contrast to a life with cheap stuff. Some in the world are shopping for cheap stuff, and more of it. And those of us with too much stuff are taking inventory of our own lives, drawing new boundaries. The true value of stuff lies, not in the having of it, the keeping of it, but in the confidence that arises from making it as we ourselves are recast as makers, not consumers. Homo habilis was an early ancestor of man, these days growing still more extinct. Habilis was the first maker of stone tools and the term habilis means handy or skilled. Make, cook, fix, sew, plant, mend, create, recreate self as habilis. did you know that habilis is the Latin word for sloyd? As you can see in the photo above, I am nearing completion of the cherry shaker cabinet. Next will be dowels to lock parts together, pulls, shelves, turn latch and finish. 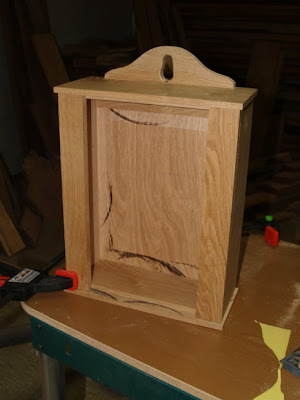 I have nearly completed the white oak shaker wall cabinet. 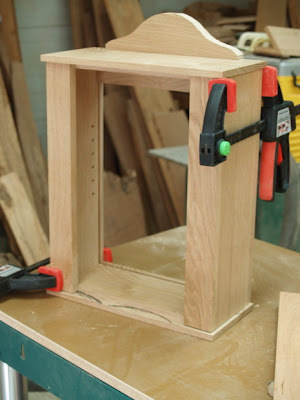 Now I will add a turn latch at the front, make a shelf for inside, and give it an oil finish. It is made with cut nails replicating those made in the early part of the 19th century. 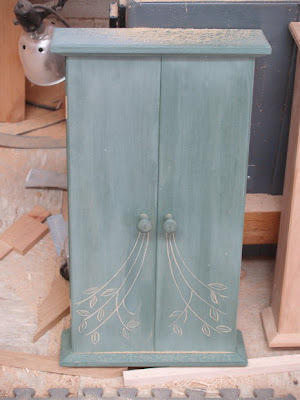 The cherry cabinet done as a larger variation will be finished tomorrow. When I was in Dearborn at the hands/maker conference, there was some discussion about how we learn, what we don't learn, and some disdain expressed about the public oversimplification of the left-right brain phenomenon. And so, I want to continue on the subject, knowing that I am indulging in oversimplification for a purpose. 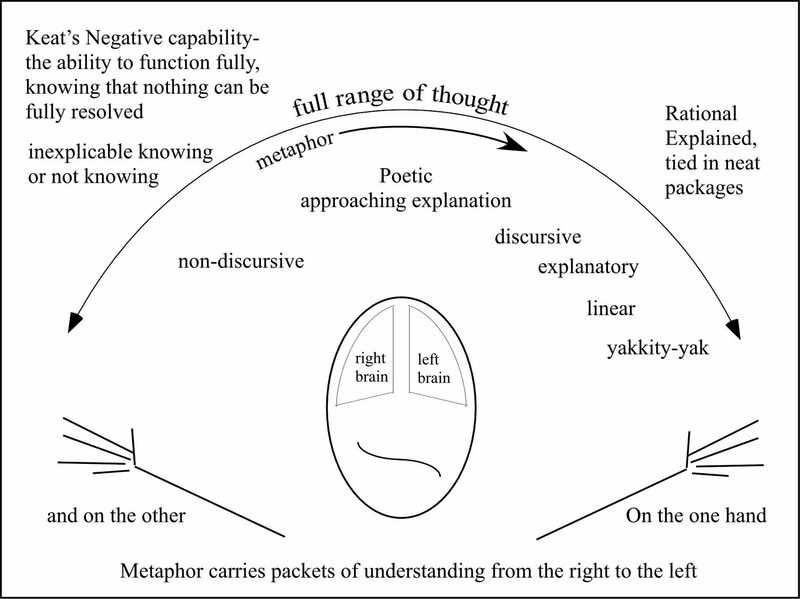 I strongly suspect that the left-brain/right-brain explanation entered the domain of popular oversimplification, because from a metaphorical perspective, it works. I did this drawing this morning, as a result of wrestling with concepts as I faded in and out of sleep. It may be self-explanatory. I think that many of us come closest to understanding when we step away from the dominance of the left brain. Just as Archimedes discovered the concept of displacement as he lowered himself into the bath, we become grounded in left/right through a variety of means. For Archimedes, what worked was being immersed in water. For some running or walking works. For many of us, the lucid dreaming state brings things to greater clarity. And often a drawing can serve where explanation cannot. Feel free to comment if any of this makes sense to you. I had not a dispute but a disquisition with Dilke, on various subjects; several things dovetailed in my mind, & at once it struck me, what quality went to form a Man of Achievement especially in literature & which Shakespeare possessed so enormously - I mean Negative Capability, that is when man is capable of being in uncertainties, Mysteries, doubts without any irritable reaching after fact & reason - Coleridge, for instance, would let go by a fine isolated verisimilitude caught from the Penetralium of mystery, from being incapable of remaining content with half knowledge. This pursued through Volumes would perhaps take us no further than this, that with a great poet the sense of Beauty overcomes every other consideration, or rather obliterates every other consideration. The idea of certainty is destructive. We seek to control schools toward ends conflicting with desire, using mechanisms to force results contrary to our hopes, and yet refuse to relinquish control, as in attempting to control, a sense of control is put in place, that is actually false but satisfying. Inherent in the notion of negative capability is the potential of release, a confidence that man will act toward beauty, not ugliness. That man will be wrong, but that things will turn out right. That we will be mistaken and yet come to grasp. In particular, I liked Keat's use of the dovetail. not in it for the money? Surprising to some, many people do what they do for reasons other than the money. This article on CNN Money presents a list of college degrees that don't pay. Aren't we glad that so many people live their lives on principles other than money? 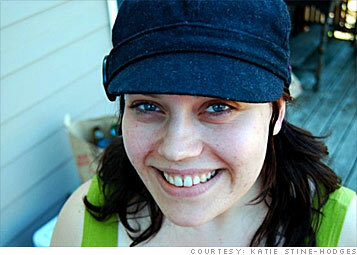 The photo is Katy Stine-Hodges, social worker, photo credit CNNMoney.com. 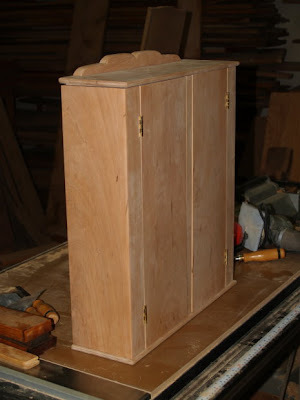 You can see that I am making progress on my wall hung shaker cabinet. I am not sure how useful a cabinet can be hung from a shaker peg, so I have built in another form of hanger strip at the back to make the cabinet useful, and easily moved as necessary. 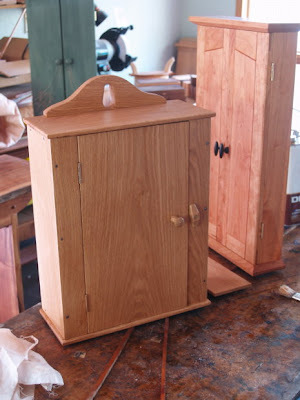 It is interesting to consider shaker furniture as examples of the truth of Oscar Wilde's proclamation that "All beautiful things are made by those who strive to make something useful." And I want to reassert that the notion of usefulness is not confined to the most practical of human concerns. Shaker work was designed to illustrate more than its mere usefulness. It attempted to demonstrate simplicity as an economic and social value. And so, there are many who are drawn to shaker designs without ever thinking about what use the object really offers. I had a conversation yesterday with botanical illustrator and founder of the Minnesota School of Botanical Art Illustrators, Marilyn Garber. Her work, beyond it's marketable and economic values and the personal rewards of working at such a high level of expertise lies in its educational purpose. 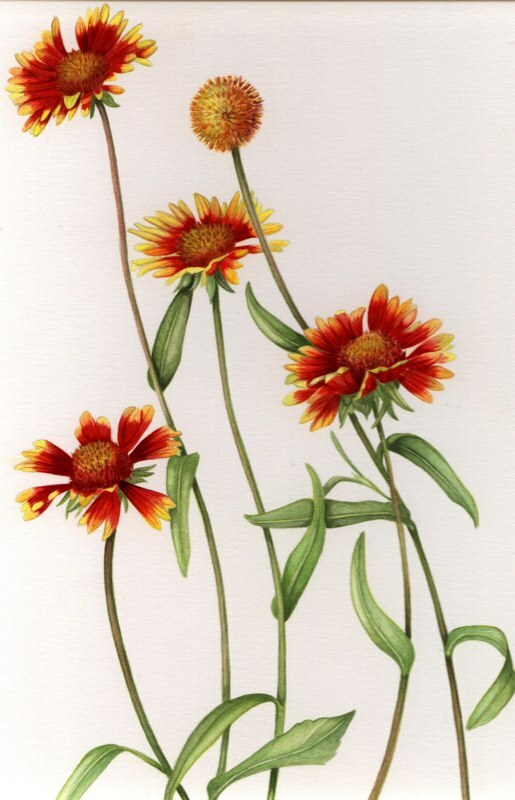 Botanical illustrators are on a mission to open our eyes to what we are missing and what we neglect as a result. Is that as useful as making a place to keep your toilet paper? No doubt, you will find work more beautiful when it opens our eyes to things we may have previously missed. 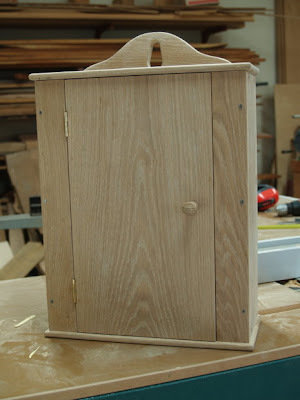 Today I have made a small amount of progress in the woodshop, working on both spice cabinets and shaker wall cabinets. I also was visited by a blog reader and friend from the University of Minnesota whom I had met in Sweden and Finland and with whom it is always good to talk Sloyd. Faith and her friend Marilyn who is a botanical illustrator and the founder of the Minnesota School of Botanical Art are here to take a class with Leon Niehues, making baskets at the Eureka Springs School of the Arts. I am curious whether any of my readers are familiar with the works of David Henry Feldman on creativity. He is co-author of Creativity and Development (Counterpoints: Cognition, Memory, and Language). It seems that with corporations complaining about the lack of creative engagement and potential in the people they hire, they would want to do something about it. But creating schools in which creativity was a goal doesn't seem to fall within their range of interests... not when they can adhere to the gospel of standardized testing. Wood shop and other forms of the arts can help to put creative problem solving back in schools, but we will have to come to our senses for that to happen. home in Arkansas and the making of art.